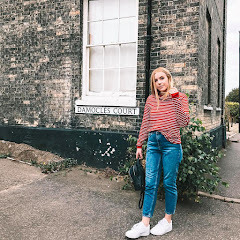 After vanishing from the blogging world for a year I've finally decided with the new year it's time to get back into it & I figured that the best way to do so would be to answer these questions from the 'This Time Next Year' Tag that Emily tagged me in! 1. What was your biggest achievement of 2014? I'd say that my biggest achievement in 2014 was passing my driving test. It took me three gruelling attempts but I finally got third time lucky and passed with no minors! It even made my driving instructor cry! 2. What do you want to achieve with your blog by this time next year? Firstly not vanish for another year!! Secondly, I'd love to be at a point where I can do giveaways for my followers because I love to see it when bloggers give back like that. This is a tricky one seeing as I'm planning to do so much, but I think that at the top of the list it would have to be going on road trips with my best friends. It's something we've dreamed of doing for years so this next summer will definitely have a few lined up! 4. What are you most looking forward to next year? Similar to the last question...travelling!! I cannot wait to be able to do more of it! May is looking particularly promising because I've booked to go to New York with my sister and cousin which is sooo exciting!! 5. Your happiest moment of 2014? Ooo, it's hard to pinpoint one moment but I would say that I was at my happiest when on holiday in Malta in June. It was so beautiful. 6. What New Year’s resolution are you actually planning on sticking to? I haven't really set any specific resolutions to stick to this year seeing as through previous experience I literally don't stick to them. So now and days I just see it as an opportunity to better myself as a person both in health and as a person overall. I'd love to work more on my self esteem and become happier with myself. Especially seeing as I officially start Uni this year (eeeeek!). Hope you've all had a great start to 2015! Welcome back to the bloggingsphere! ;) Can't wait to see more from you. Those all sound like great goals, and I hope you achieve them all~!